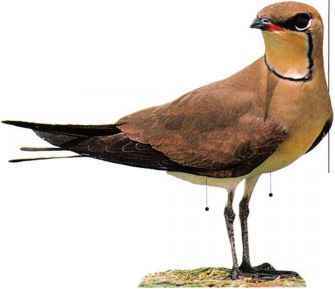 I his species is a typical pratincole, a shore-dwelling bird that has become adapted to feeding in the air like a swallow, catching insects. It has large eyes, a broad-based bill, long, narrow wings, and a forked tail. Equipped with fairly long legs, this bird will also chase insects on the ground. The black underwings become visible in flight, which is distinctively agile and rapid. The species is highly sociable, feeding in flocks, and is particularly active at dusk and dawn. In the breeding season, it flocks on the margins of steppe lakes and marshes with short vegetation or bare mud. It rests, and nests, on the ground, where its coloration makes it inconspicuous on mud or soil. • NEST A shallow, bare depression, in sparse vegetation or on bare ground. 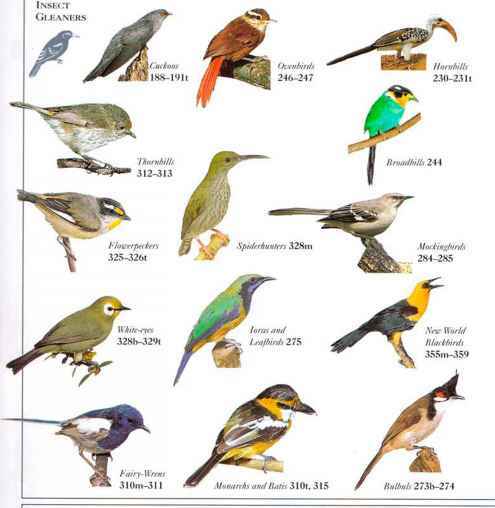 • DISTRIBUTION Breeds in C. Asia. Winters in Africa south of the Sahara.